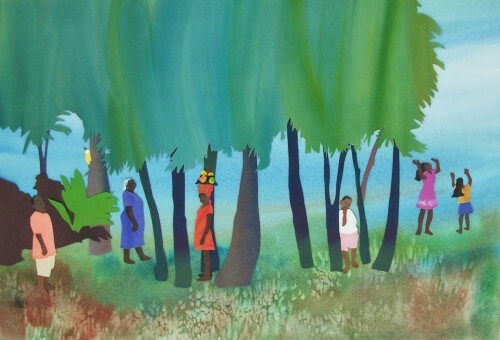 De Rainbow Bird's Caribbean inspired collages underscore a storyteller's tale of hide & seek. 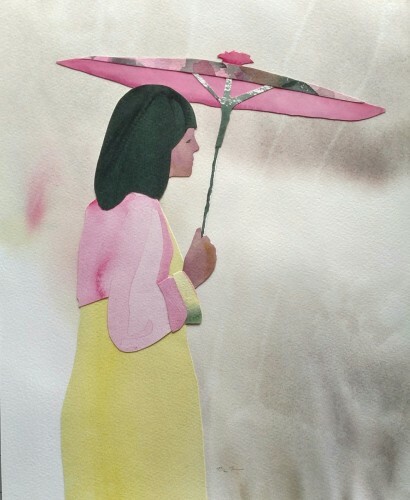 Original unframed children's book illustration. 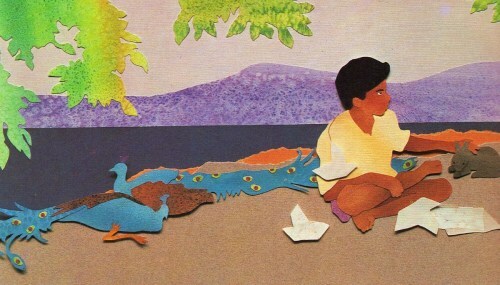 Cut paper art complements a poem Paper Boats, by Rabindranath Tagore, India's Nobel Prize winner. Original framed hand painted collage. 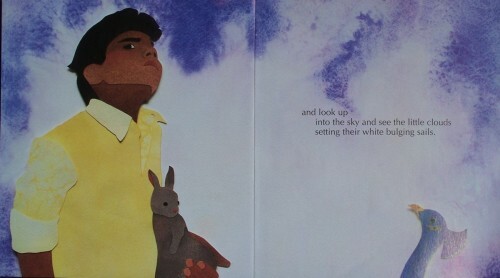 Original unframed egg tempera illustration of The Shadow poem commissioned for a children's anthology. 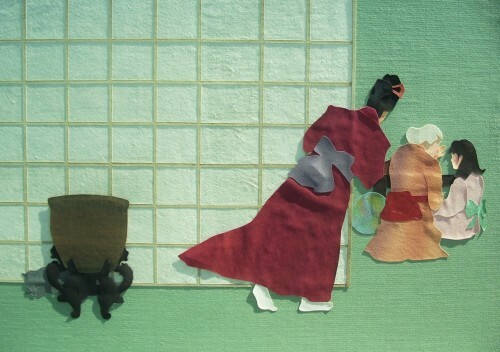 Original unframed cut paper collage illustrating The Long Silk Strand, a Japanese tale of love and memory. 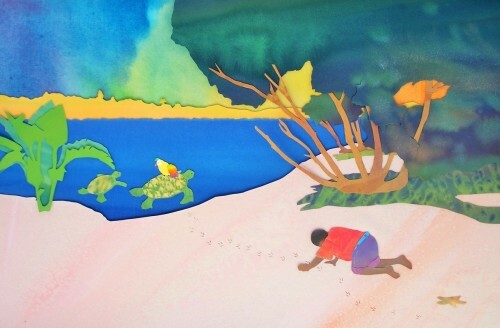 The art was commissioned to compliment a graceful tale by Laura E. Williams. 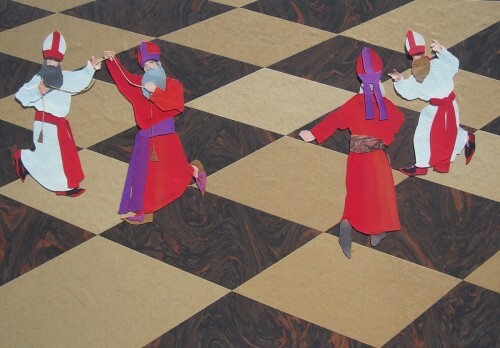 Original cut paper illustration of bishops on a marble chessboard coming to life through dance. 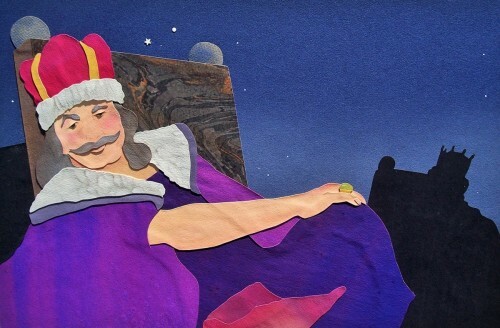 Original unframed collage illustrating The Long Silk Strand, a tale of intergenerational love and memory. 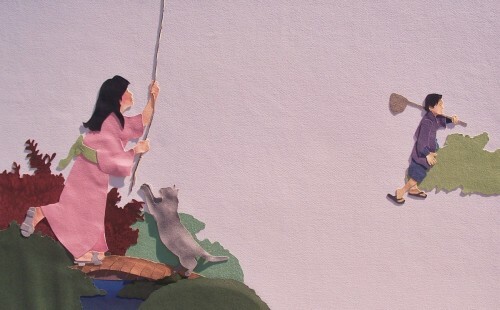 Publisher's Weekly starred review states "Bochak's elegant, understated cut paper art evokes the tale's Japanese setting while underscoring the considerable emotional impact of William's tender story". 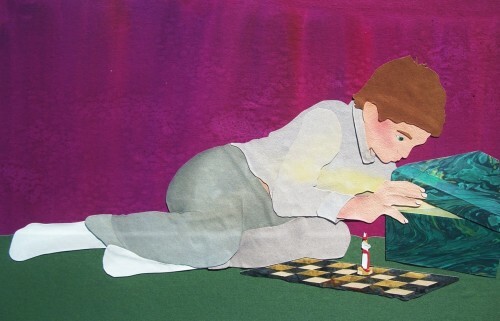 Original unframed cut paper art featuring one of the kings of chess in a child's fantasy. A concerned queen is silhouetted in the background. "The Gamemaster is awesome!" writes the Washington Post. 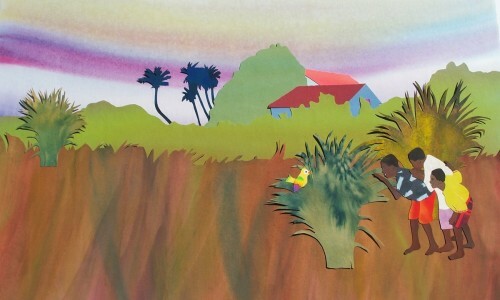 Original unframed cut paper collage illustrating a Caribbean boy's tenacity to spot de rainbow bird.